ItemD-06323 - Robert Dunsmuir's home, Craigdarroch Castle. ItemD-06331 - John Robert Nicolson. ItemD-06334 - Master W. Stokes. Item F-05165 - An elderly First Nations couple; Duncan. An elderly First Nations couple; Duncan. The original photograph may have been taken by Frank Halhed, Beryl Cryer's older brother. 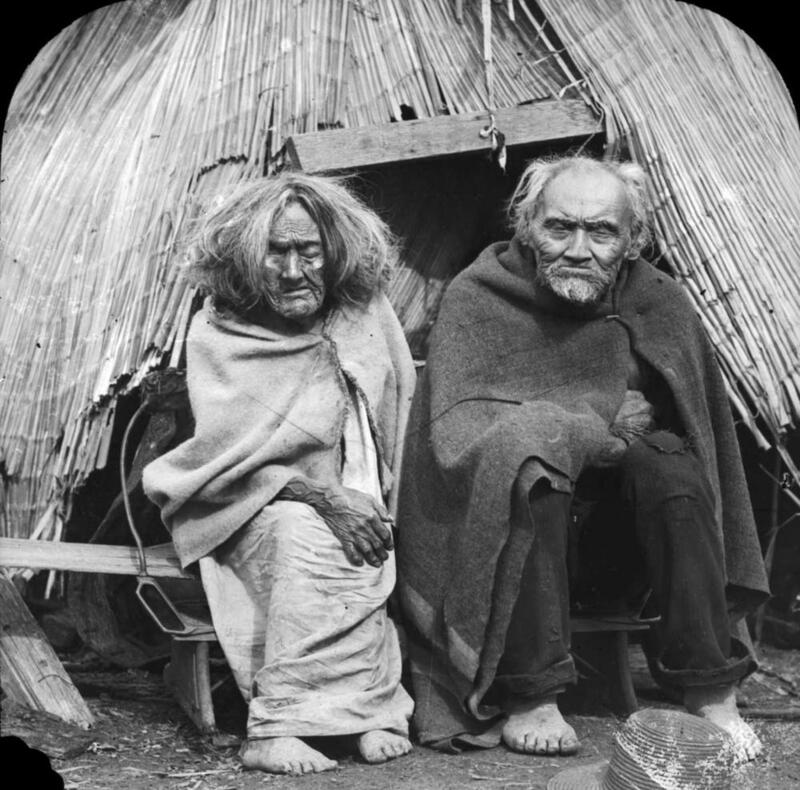 A copy print of this image exists in old manuscript series F/8.2/C88.1 Volume 2 and is identified as Tow-kau-ahl, the fish charmer and his sister Taul-kun.